Bottled water during outings outside of hotel or cruise ship. 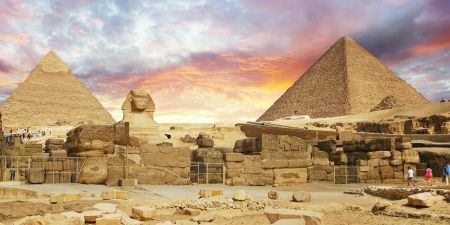 Breakfast at your hotel in Cairo, and then met by your personal guide who will accompany you to Giza Plateau to visit one of the seven wonders of the ancient world, the Great Pyramids of Cheops, Chefren and Mykerinus and Sphinx then to the Valley temple facing the great statue. Lunch will be served at a good quality local restaurant in Cairo, then visit the Egyptian Museum, Treasures room for the child king Tutankhamen. Continue driving to Islamic Cairo, where you will be able to explore Khan El Khalili, Cairo’s old bazaar. Back to hotel and overnight in Cairo. 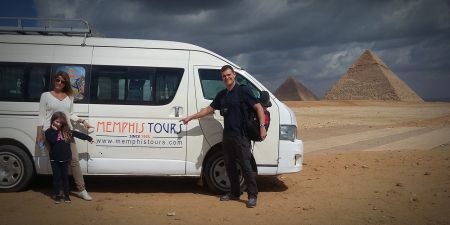 Check out from hotel in the early morning then transfer to Cairo Airport for your flight to Luxor where you will be met and assisted, then transferred by an air-conditioned deluxe vehicle to embark your Nile Cruise. Have your lunch on board before setting sail to Esna. Free time at leisure with Afternoon Tea and Captain's Welcome Cocktail on board the cruise ship. Dinner and overnight on board Nile cruise in Esna. Breakfast on board while sailing to Edfu at the morning, then have a visit to Horus Temple in Edfu, the best-preserved cult temple in Egypt. Back to the Nile cruise boat to continue sailing to Kom Ombo. Lunch on board with afternoon Tea and Free time at leisure. Dinner on board with enjoying Egyptian Galabya party. Overnight in Kom Ombo. 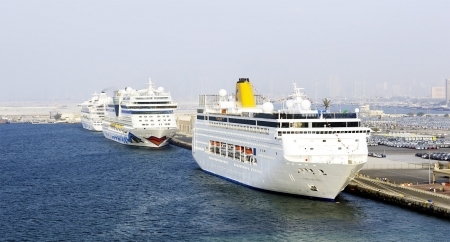 Early sail to Aswan while enjoying your Breakfast on board. Then you will be picked up to enjoy a day tour to the High Dam, the Granite Quarries and the Temple of Philae. Lunch will be served on board the Nile cruise, then enjoy Sailing on the Nile by felucca boat around the botanical garden. Back to the cruise for dinner on board with Belly dance show and Egyptian folkloric show. Overnight in Aswan. Breakfast on board your Nile cruise with free time at leisure in Aswan, or enjoy an optional tour to Abu Simbel Temple. 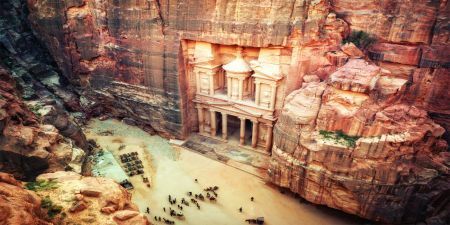 It takes about 3 hours driving from Aswan to Abu Simbel by a private air-conditioned vehicle. Arrive to Abu Simbel, see the impressive Temples of Ramses II at Abu Simbel, which is dedicated to the four universal gods Ptah, Re-Harakhte, Amun-Re, and to Ramesses II. Then return to your Nile Cruise in Aswan. Free time at leisure, then have your dinner on board and enjoy a Nubian Show. Overnight in Aswan. Sail to Kom Ombo while having your breakfast on board, then enjoy a guided visit to the Temple shared by two gods Sobek and Haeroris in Kom Ombo. Back to the Nile Cruise to set sail to Edfu with lunch on board. Continue sailing to Esna, with afternoon tea on board. Dinner and overnight on board in Esna. 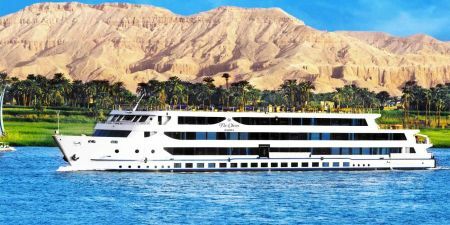 Sail to Luxor with breakfast on board your Nile Cruise, then head out to enjoy a guided tour to the West bank of the River Nile in Luxor to visit Valley of the Kings, the Temple of Hatshepsut, the powerful Egyptian queen, and the Colossi of Memnon. back to the cruise with lunch, dinner and overnight onboard the cruise in Luxor. Breakfast on board, then disembark your Nile cruise in Luxor and enjoy a guided tour to the East Bank of Luxor, visit the magnificent Karnak Temples and Luxor Temple. Lunch will be served in a good quality restaurant in Luxor. Later on you will be transferred to Luxor Airport for your flight back to Cairo, where you will be met and assisted at the airport then escorted to your hotel nearby Cairo Airport. Overnight in Cairo.